The UK, particularly London, has been a special place for wine during September and October with a huge range of global producers, portfolios and regional tastings on offer. While there are plenty of new wines to try from around the world, it seems that South Africa has attracted the most excitement this year. This is thanks to great levels of innovation and personality being poured into production methods, which, in turn, has led to some outstanding wines. Quality has taken a leap forward over the past decade and, perhaps more importantly, styles have evolved in ways that seem to fit with what UK buyers prefer. It’s encouraging to see an increase in wines that hold freshness and complex perfume, with reduced tannic extract in the reds and greater depth in the whites. The finest South African wines are refreshing, with a balanced acidity and a layered texture that is not over-reliant on alcoholic weight and flavour concentration. Indeed, flavour ripeness in many wines is being achieved at much lower alcohols – as little as 11% abv in some cases. This is exciting as most of these wines are invariably born out of warm to very warm and dry climates that are traditionally linked with a reputation for low quality. Current South African producers are challenging these preconceptions of what to expect and what is possible in these types of regions. 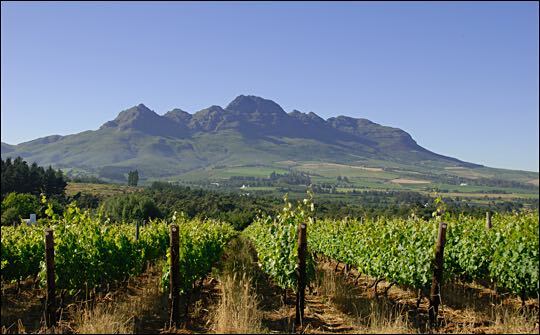 These wines suggest that South African producers are, by and large, returning to the varieties that suit their climates and exhibit the best adaptation to a changing climate. The new wines being produced in South Africa hold a high degree of individuality – especially the whites, often based around a core of Chenin Blanc and a range of other varieties including Semillon (Blanc and Gris), Chardonnay, Grenache Blan and Clairette Blanche. However, it’s clear that these wines have the scope to create markets on their own terms rather than being drawn into competitive comparisons with European counterparts, sidestepping the usual quality and pricing issues that can arise as a result. The current structure of the South African wine industry has enabled a wave of new generation winemakers to enter the market. These younger producers have brought their passion and enthusiasm for creating something different, generating a sense of adventure that has breathed energy and personality into the South African wine story. The new producers have joined the market at an ideal time, being able to source grapes at relatively low cost in global terms. In addition, the weak economic standing of the Rand has made export markets incredibly favourable. It’s put the old guard in the historic regions of Stellenbosch, Constantia and Francshhoek on notice, encouraging them to further evolve their own styles. Despite the challenging economic conditions, the current standing of the South African wine market makes for a buoyant export story for the country. In 2016, we will see more of these innovative blends and more wines from warmer areas in the Western Cape and even from up the Northern Cape in Oliphants River and elsewhere. The industry can expect the classic areas to take on more elegance and definition. South Africa has achieved much in re-inventing itself and producing wines of confidence and high quality, so the foundations for building on that in 2016 are already in place. Now, more than ever, the UK trade has some fantastic incentives to sell South African wine to UK consumers.